This unique and transparent view of the top flight of English football uncovers the true trends behind a division that has earned £26bn in revenue and yet achieved economic losses of £1.9bn over a 9-year period and reveals the key drivers behind the potential formation of a European Super League. 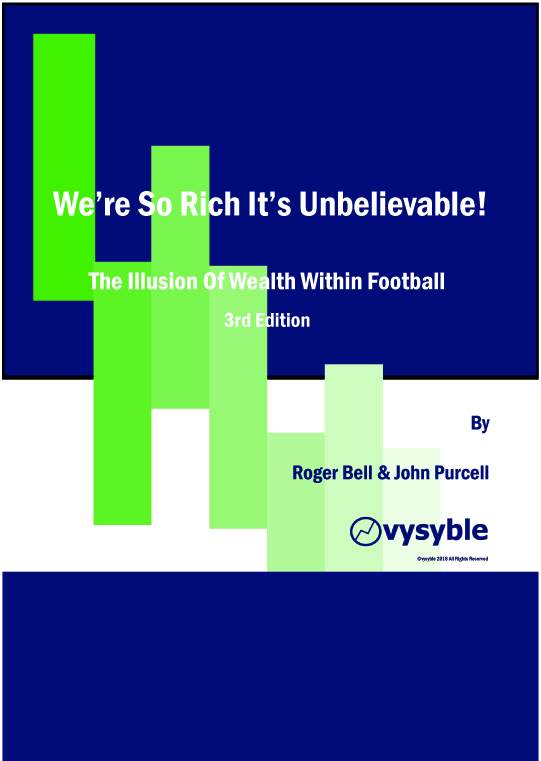 In this 82-page report, discover just how poor the overall financial and economic performance of Premier League clubs has been since the 2008-9 season. We have examined in detail every statement of accounts and every individual balance sheet from every club that has been a participant in the English Premier League from the 2008-9 season up to and including the 2016-17 season. With data from over 280 balance sheets, we have been able to calculate the economic performance for each club where all taxes and charges including the cost of capital have been considered. The report also includes the Football Profitability Index® (FPI) which measures the efficiency of each participant club in converting revenue into economic profit on a like-for-like basis. The report contains over 150 charts, 27 detailed performance tables plus FPI ranking tables for each individual year from 2009 to 2017. A detailed explanation of the methodology used to calculate Economic Profit and the FPI. 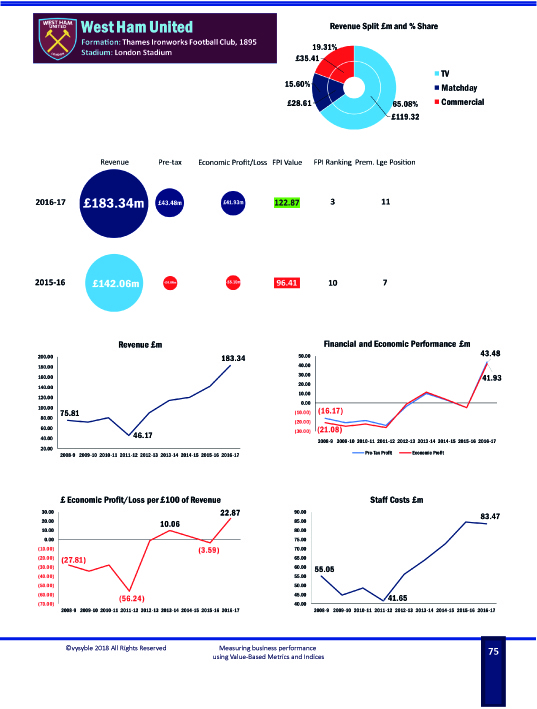 A review of the revenue performance of the Premier League division and individual clubs therein including the effects of the increase in revenues as a result of the 2016-2019 domestic TV agreement – 11 pages, 6 charts, 15 tables. 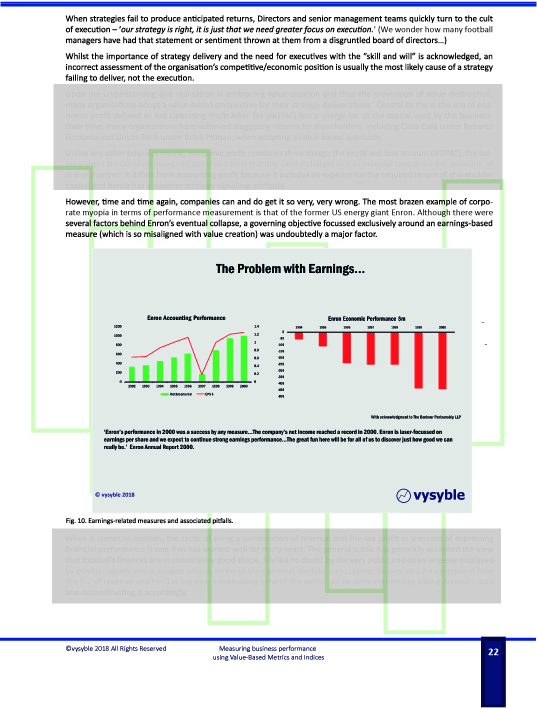 An explanation of the role of the Economic Profit metric when compared to various earnings measures – 5 pages, 5 charts. 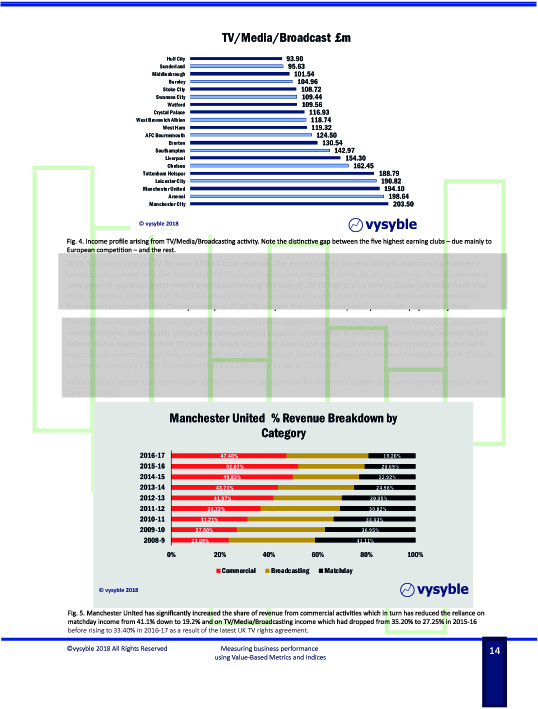 The economic record of the Premier League division since 2009 and key trends – 7 pages, 8 charts, 4 tables. 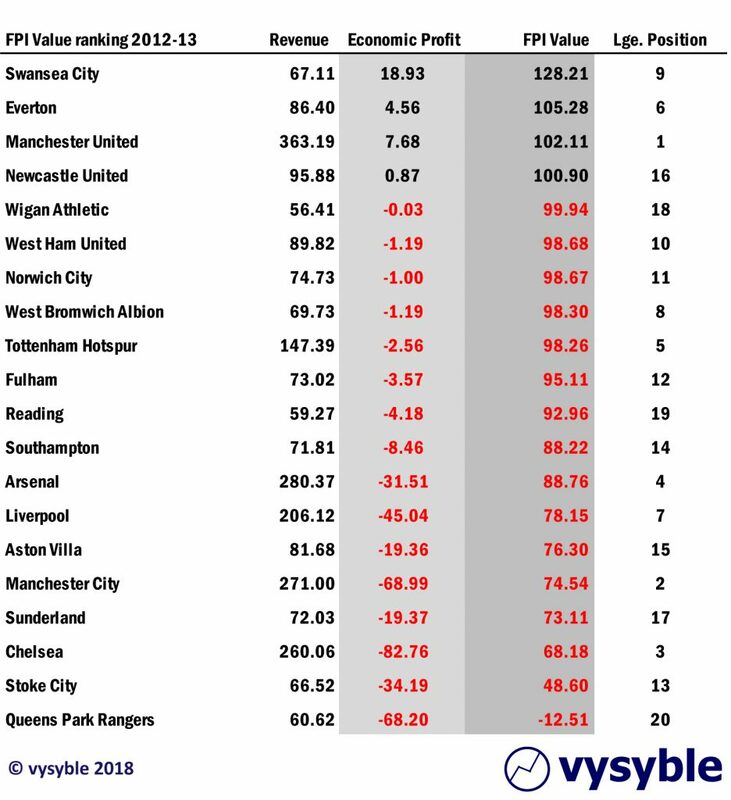 An introduction to the Football Profitability Index which measures the overall efficiency of the Premier League division year-on-year from 2009 in achieving economic profits/losses plus key trends including the direct link between poor economic performance/efficiency and relegation – 12 pages, 5 charts, 7 tables. A detailed breakdown of the role and economic performance of the Premier League’s ‘Top 6’ clubs, how they differ from the rest of the division and their destructive effects on the division’s overall financial profile including the obvious next step – a European Super League – 6 pages, 8 charts, 1 table. Conclusion – 5 pages, 3 charts. 2016-17 vs 2015-16 comparative view of Revenue, Pre-tax, Economic Profit/loss, FPI value, FPI ranking and Premier League position performance. All appendix data displayed over a 9-year period unless specified. Additionally, we have included FPI ranking tables by season from 2008-9 with Revenue, Economic Profit/loss and Premier League positions. The images are a guide to the available content in the report. vysyble does not accept responsibilty for accuracy or discrepancies.